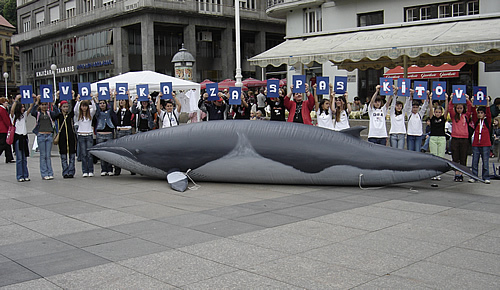 On Thursday, May 11, 2006, at noon at the main square Ban Jelacic in Zagreb Animal Friends in collaboration with the World Society for the Protection of Animals, WSPA, and a life-size whale invites the citizens to accompany them in the international campaign for Croatia to join the IWC (International Whaling Commission). Pupils from the elementary school Kralja Tomislava will join this event, to send adults the message that already at young age they care about the future of our oceans and preservation of animals. Two million great whales were killed in the last century, using methods that caused widespread and prolonged suffering. Some species were hunted to the brink of extinction, which led the International Whaling Commission (IWC) to adopt a worldwide ban on commercial whaling in 1986. Despite this ban, loopholes allow Japan, Norway and Iceland to continue whaling and kill some 2,000 whales annually, using methods that have changed little in over a century. Whales are killed at sea with a lethal harpoon. Fired from a cannon, this weapon is intended to penetrate the whale's body to a depth of 12 inches before detonation, killing it by inflicting massive shock and injury. Although the whalers harpoon possesses destructive power, it rarely kills the whale instantly. Recent data has shown that whales can take up to an hour to die at sea, after the harpoon's first initial strike. 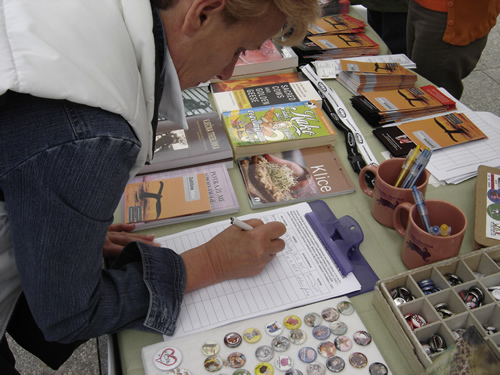 Whalewatch has been campaigning for three years, lobbying governments and working within the IWC to put an end to this unnecessary and inhumane practice of whaling, with every country's pleading, good will and membership in the IWC, stressing that there is not humane way to kill a whale. 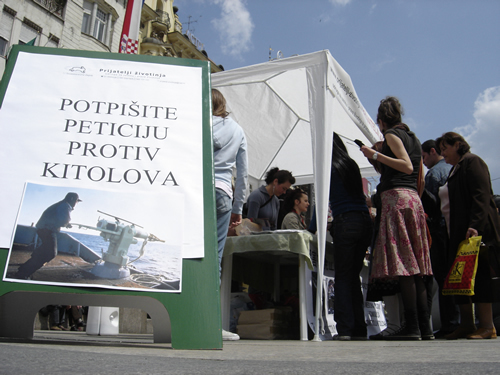 With this campaign Animal Friends would like to encourage and support the Ministry of Culture of the Republic of Croatia, that showed interest to join the numerous countries in the International Whaling Commission, and with this membership avoid the overturn of the moratorium, that has prohibited commercial whaling since 1986. This international campaign is also supported by Goran Visnjic who sends out a clear message: "You may be as surprised and horrified as I was to learn that whales are still being hunted and it’s just as cruel as ever. Please join me in this campaign against whaling before it is too late." Animal Friends collaborates with the Croatian Ministry of Culture and hopes Croatia will as soon as possible join the International Whaling Commission to put an end to the cruel extinction of these sea mammals, that unnecessarily die, leaving traces of blood in the sea, even hours after their killing. It is important that the international community acknowledges that whale welfare is an issue of global concern, since the whales and the oceans do not know borders.